I felt calmer and more present for my partner. An hour before I went to bed, I’d put my iPhone in the kitchen to charge it overnight and keep it far removed from my fidgety fingers. As a lifelong insomniac and chronic multitasker, I wanted to improve the quality of my sleep, as well as my ability to concentrate by not fiddling with my phone while talking with my spouse Sabrina or watching a favorite show in the evening. 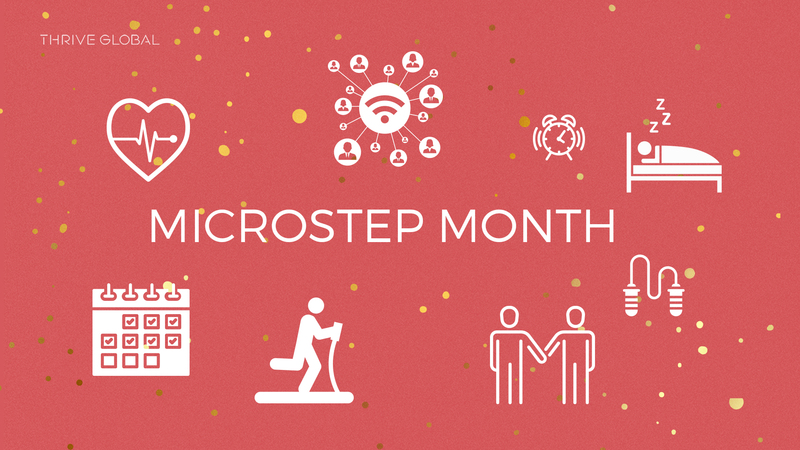 For me, someone plagued by frenetic energy and a multitude of competing obsessive compulsions, successfully completing my Microstep (I did it for 25 out of 32 days) felt like an accomplishment. I admit that I stole a few furtive glances at my phone when I’d take a trip to the bathroom. And I may have feigned being parched to visit the kitchen a few times to get a quick fix. During those times I’d linger over texts, tweets, and feeds for as long as I could until Sabrina’s impatience peeked and she’d incredulously snap: “Are you looking at your phone?” Oops. But I kept going. When I stuck to my Microstep I felt a greater sense of calm. Without the frenzied excitement of my phone around me, I fell asleep faster — although staying asleep remains a problem — and avoided multitasking, which helped me stay present with Sabrina and remember the details of the shows we watched over the month. Experiencing increased serenity, a more connected connection to Sabrina and the ability to recall plot points in Ray Donovan definitely feels like a win. That said, once I upgraded my device to a slick, shiny iPhone XR, my willpower tanked. But putting all of this on paper is reminding me again of all I risk losing by being in a perpetual state of divided attention. Reflecting on this experience reminds me of all the ways my unhealthy phone habits interfere with my sleep and the quality of my most important relationship. The increased calm and focus this Microstep provided also made me think about how my excess phone use and dependence has chipped away at my ability to concentrate in all areas of my life and even significantly clipped my patience, making me more prone to aggravation over minor grievances. A 2016 study, in fact, showed that our increased reliance on portable electronic devices erodes our impulse control and capacity to delay gratification. Journaling this makes the consequences feel more urgent, disturbing and real, so tonight I’ll put my XR back in the kitchen — and resist the temptation to visit it on my way to the bathroom.